MTS/M2TS is commonly found in AVCHD video clips recorded from camcorders of Panasonic, Sony, JVC, and Canon. These MTS/ M2TS files are natively supported by Final Cut Pro. But usually, you may come across you can’t import M2TS/MTS to Final Cut Pro for editing. The reason for this is your M2TS or MTS files can't be fully compatible with Final Cut Pro. Step 1 Import MTS files to the MTS to Final Cut Pro converter. It's considerate allowing you to directly add your camcorder files into the Mac app for starting your MTS to FCP conversion. Just connect your camcorder, and then run this program. At once, it will detect the device, and you can see all recorded MTS files on the screen by clicking drop-down arrow beside Add Files and select Add from Camcorder. Just select the files you want from the pop-up window, and click the Add to List button to import them. If you have several MTS files and wanna merge them into one for getting a continuous file, you can enable the Merge All Videos option at the bottom of the main interface of the MTS to Final Cut Pro converter. Step 2 Set Final Cut Pro compatible format as output format. For the sake of saving your time, the MTS to Final Cut Pro application provides an optimized preset for Final Cut Pro so that you can directly choose it under Editing section as your output format. Step 3 Start converting MTS to Final Cut Pro. Click Convert All button and then the rest would be accomplished automatically. After that, you can find the output files on your Mac, and then successfully import them to Final Cut Pro for video editing. The Mac app works fine on iMac, MacBook, MacBook Pro, MacBook Air running Mac OS Mojave, High Sierra, etc. Tips: Actually, this program also provides you with all common video editing tools. If need, you can directly edit your videos in this app. From the tech spec of Final Cut Pro, we know that we can "use the Log and Transfer function in Final Cut Pro to ingest Panasonic AVC-Intra and DVCPRO HD from P2 cards, Sony XDCAM EX, and AVCHD. Or use Sony's free XDCAM Transfer software to ingest XDCAM, 18-, 25-, and 35-Mbps XDCAM HD, and XDCAM HD 422 media." To know the details, you can go to the tech spec of Final Cut Pro. And to import MTS to Final Cut Pro for further editing, you can refer to the user manual of Final Cut Pro in Apple.com. Convert MTS to QuickTime MOV : If you have lots of MTS files, chances are you want to convert your camera MTS videos to QuickTime MOV format for uses in Apple software like QuickTime, iMovie and devices like iPhone, iPad, iPod touch etc. Import MTS to Adobe Premiere: Wanna convert your MTS files to Adobe Premier without quality loss? Consider it done here. 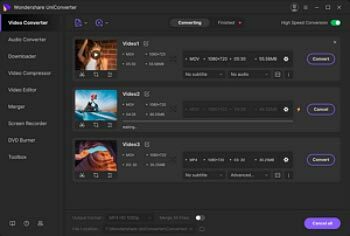 This article can surely help you convert MTS to Adobe Premiere compatible formats, so you can import MTS files to this app for video editing without any trouble. 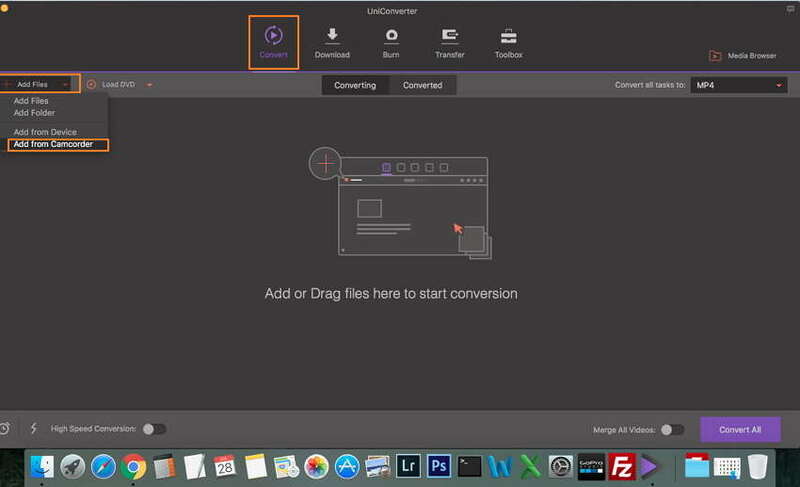 Convert MTS to Any Format on Computer: Wondershare MTS video converter for Mac allows you to convert MTS video files to any audio and video format, even device etc. Convert MTS to ProRes : If you want to convert MTS to ProRes for smooth editing in FCP, iMovie, or Adobe Premier, this article will show you how to do this job step by step. Just get the detailed guide here.